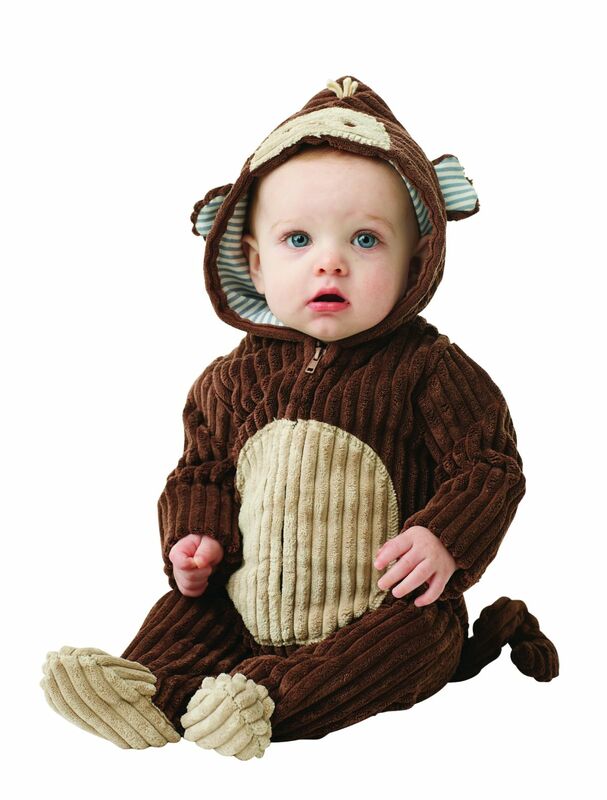 Newborn Baby Monkey Costume - so cute! An outfit you'll surely ooh ooh and aah aah over! This ribbed velour minky monkey hooded-one-piece features dimensional ears and tail, contrasting lining and zip-up front closure. Cozy and cute for the little monkey in your house! Machine wash.